Never be bored on a plane or subway ride again. 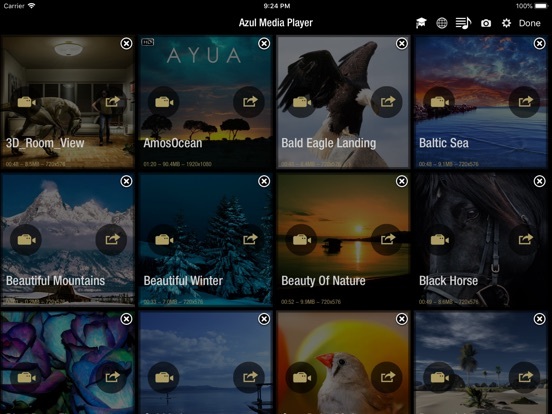 Enjoy your favorite videos right on your device without converting or needing a data connection. 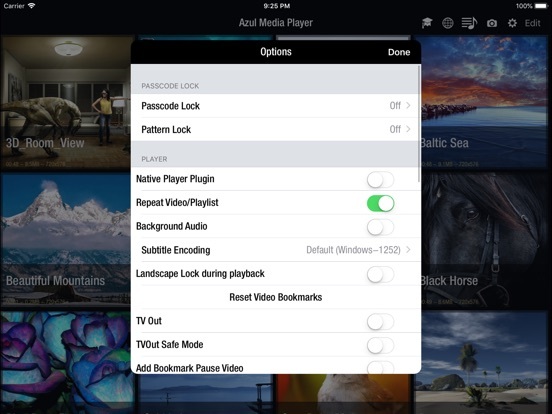 Azul is the only movie player that allows you to play almost any video and audio format and with the built in multi-format video streamer you can freely stream videos from the web on the go which are not supported by the default iOS player (supported format listed below). 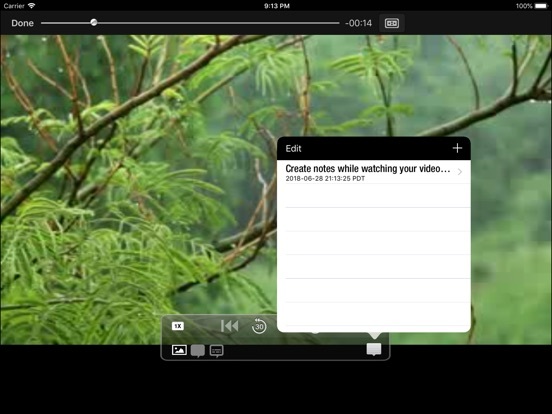 • Import videos from Photos App (Camera Roll) - Perfect for Camera Connection Kit users, 700MB video took about 5 mins to import on iPad2. 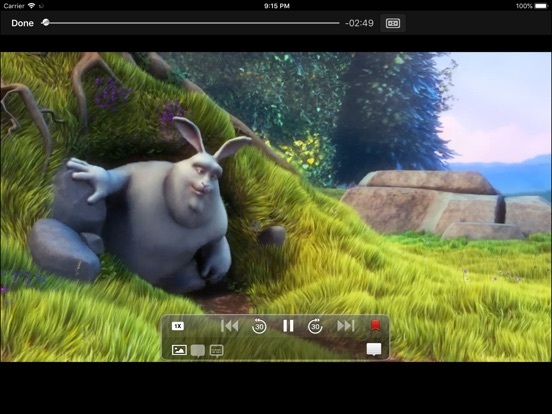 • "Two fingers" swipe gestures - Speed up video playback by 25% each time you "Swipe Right" on the video or "Swipe left" to slow down. "Two-finger double tap" on the video to shrink it. 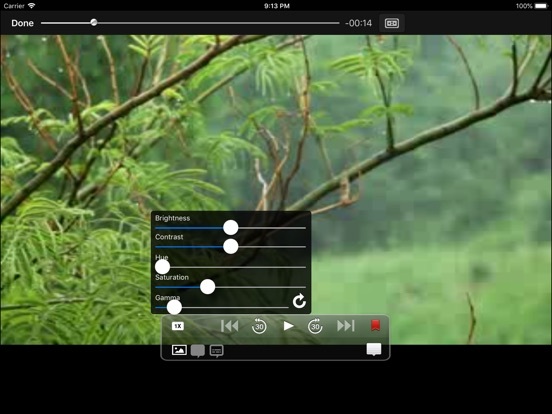 "Two-finger swipe-up/down" to change audio tracks if applicable. 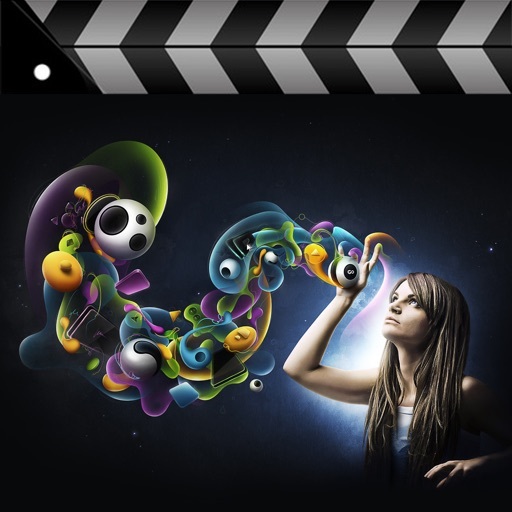 Currently the following types of content is supported: 3gp, sf, avi, divx, dv, flv, gxf, m2p, m2ts, m2v, m4v, mkv(non-hd), moov, mov, mp4, mpeg, mpeg1, mpeg2, mpeg4, mpg, mpv, mt2s, mts, mxf, ogm, ogv, ps, qt, ts, vob, webm, wm, wmv. Hold down the video attachment in your email for about 2 seconds and you will get a popup asking "Open in Azul". 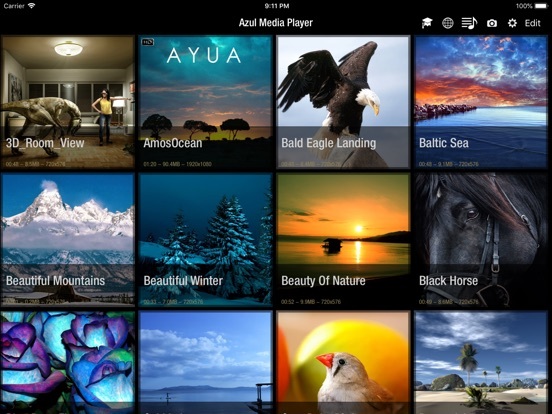 Select the option and the video will play in Azul. Keep your kids or nosy friends from seeing your collection by using the passcode feature. The enter passcode box will appear anytime you leave the app (even while multi-tasking). 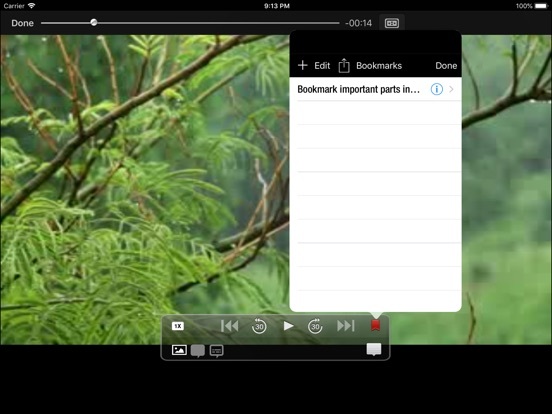 Using the iTunes file sharing functionality you can put all your existing videos into Azul. Wi-fi file transfers using built in Web/FTP server. For multiple videos at once try using FTP with FileZilla on your computer. We strive for 100% customer satisfaction -- Send us an email at azulipad@gplexdb.com and we'll be more than delighted to help.